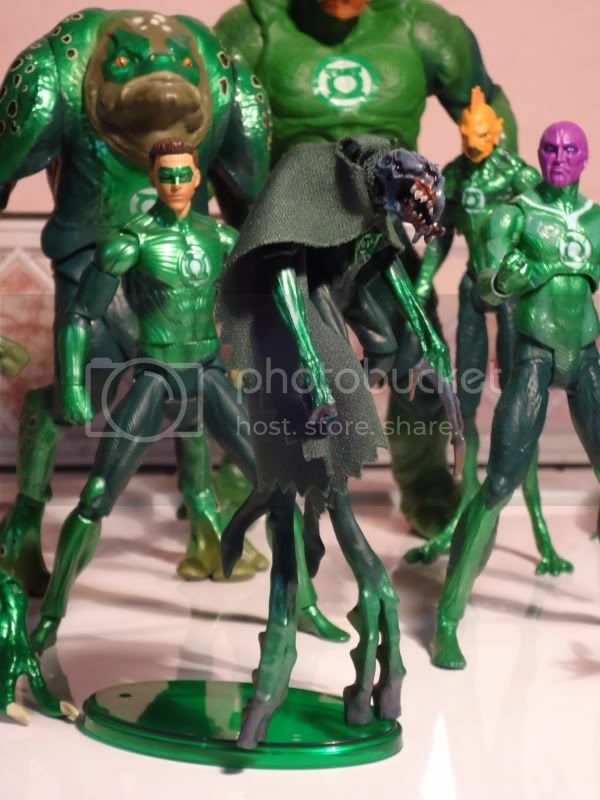 I haven't posted it before, cause I was bidding and I just don't wanted more competition (toynewsi.com already posted news about it with a link ). So now I need him and the big headed guy, and I can call it a day for this line. 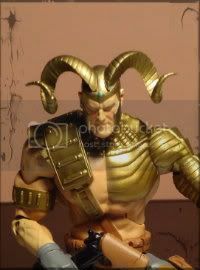 Does Morro come with his Hammer or one of his Pets? Not that it makes a big difference, I don't really plan on getting him either way, but it would be really cool if he did. Well, at least the one that I bought don't come with any acessories, but it would be really cool. Picked up an Isamot Kol and Sinestro today from Meijer. Hi guys! My Movie masters Morro finally arrived! 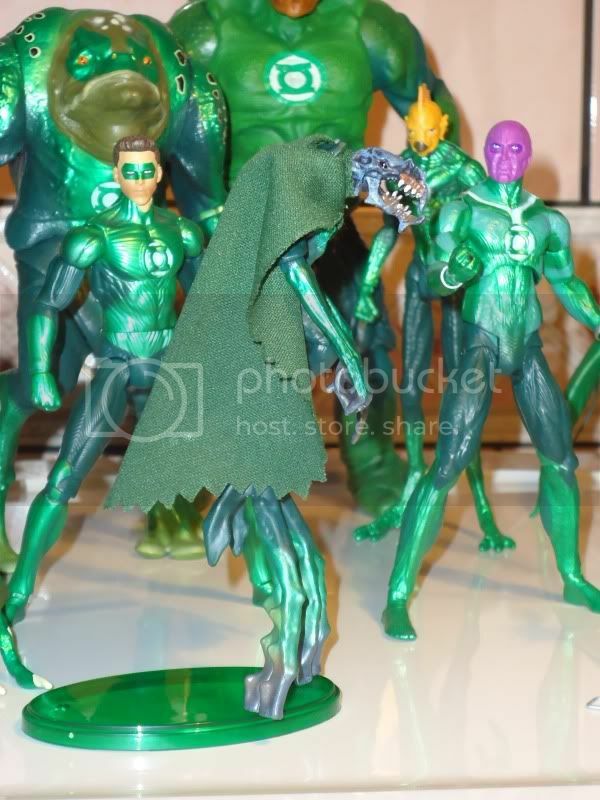 What a weird and cool figure! 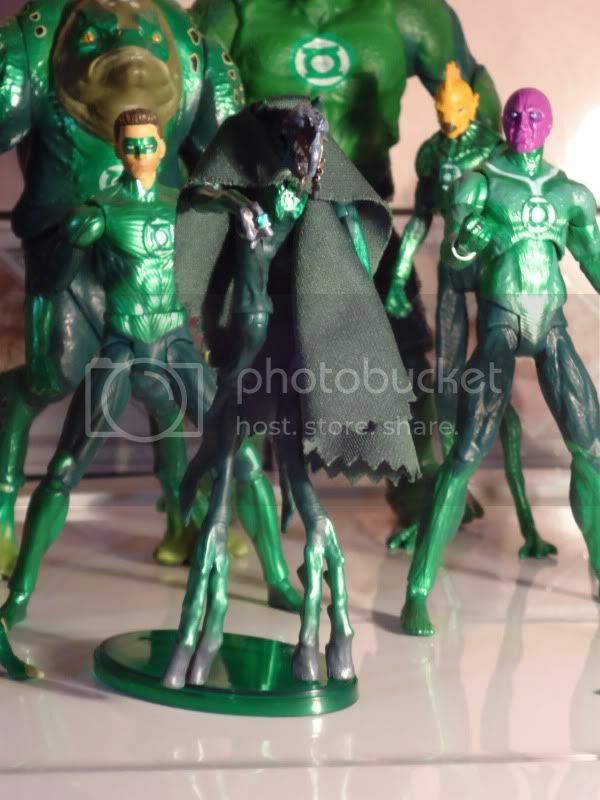 The figure comes with one of these translucent green stands (and it can't stand without it), have a lot of articulations (2 ball jointed articulations in each leg and in each arm) the head is made of a soft plastic, the painting in my figure is flawless, it comes with a cool cape (there are 2 holes on the upper side of it, and two pointy parts of Morro's back appear thru it). Great pictures Magog, thanks! 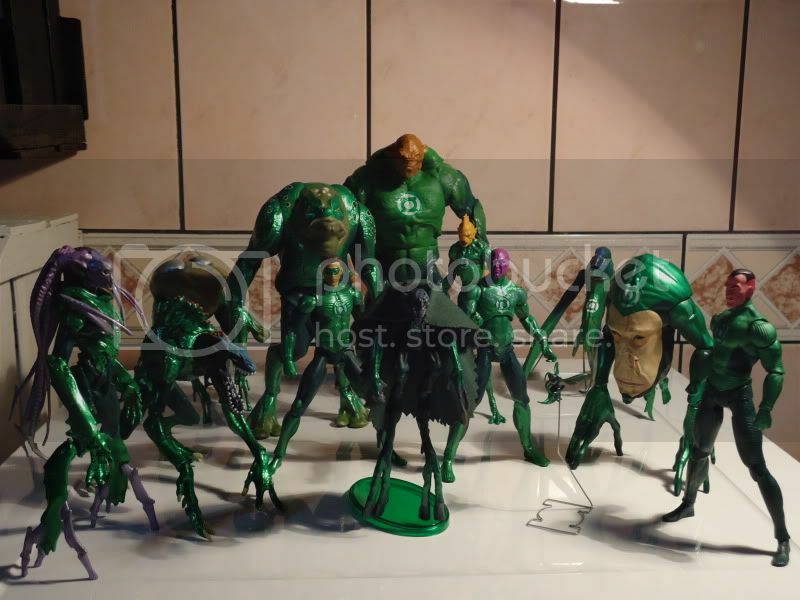 When I saw Morro at NYCC, he looked smaller than the other figures and a little cheap but I'll still get him If I can find a good deal. 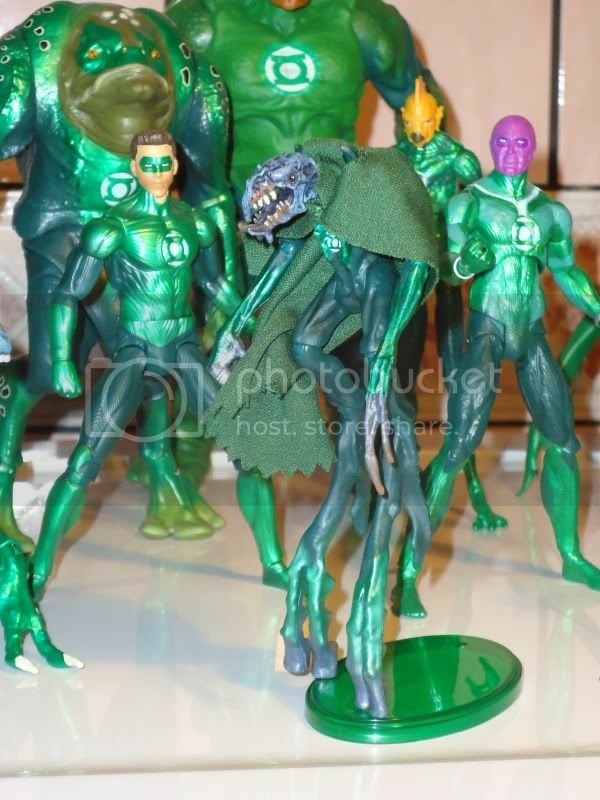 I just ordered Abin Sur from ebay. Heres a pic of Parallax I snapped at NYCC. Good angle, still looks bad, but I'll still try to complete it. Not in a hurry to build it so I'm going to wait for bargains on the rest of the figures. I don't have many discount stores but I hope the later waves ship to them. Only TJMaxx and Marshalls and a few Tuesday Mornings here. Gosh. That looks JUST like what was in the movie. Looks more like a burn victim that just got recruited into the Sinestro Corps. 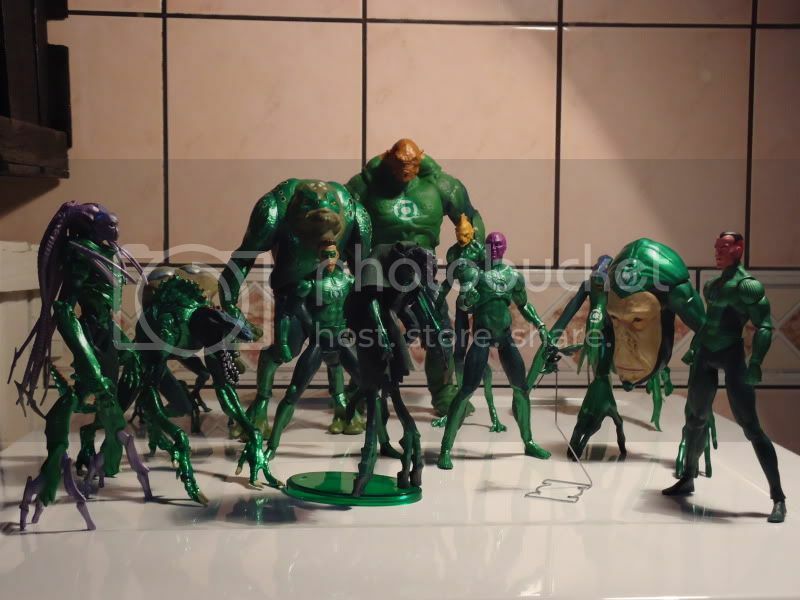 Was the movie Stel really any different than the Green Lantern Classics Stel we just got? If you *must* have a Movie Masters Stel, I figure it would work just fine. 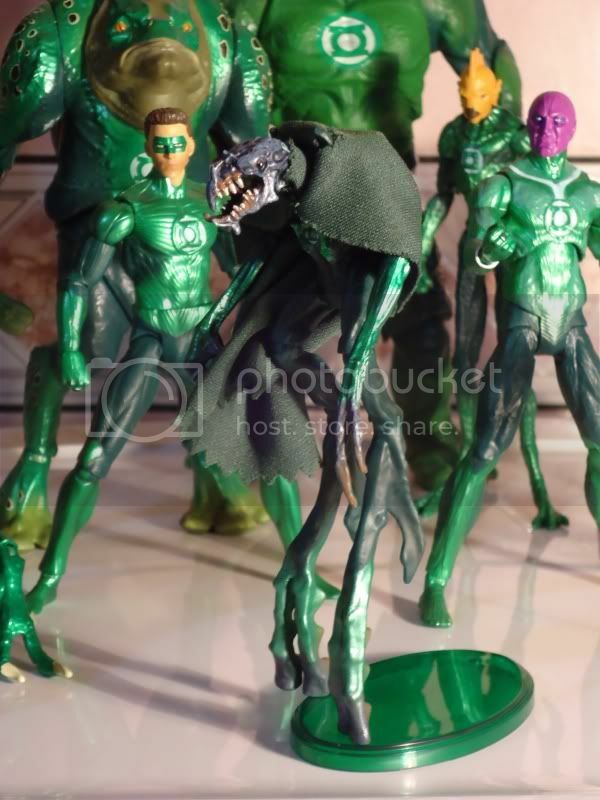 Or heck, DC Direct has a Stel coming out either this week or next - just use it. Easy peasy. Me, I'm tempted to re-paint a Fantastic Four movie Thing into Hannu. Though I guess that would have to be more of the comic Hannu; the movie version was a changed a bit. The Dead shall walk the earth. Magog, I was not into this line at all. Then, a few days ago, I stumbled into this thread and saw your pictures of all of the GLs together. 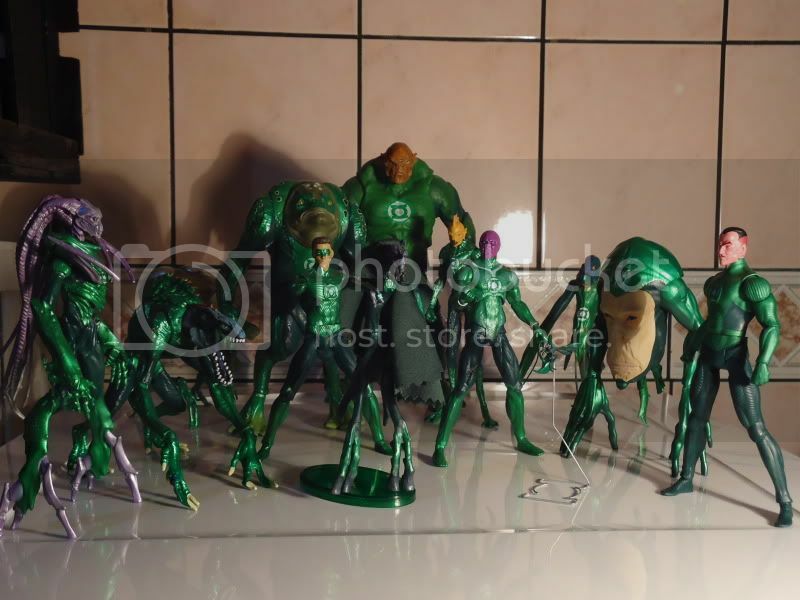 Now I WANT THEM ALL.